Smartphones with the highest storage capacity (inbuilt storage) are trending these days in the mobile phone industry which allows the users to install numerous apps and can perform various tasks simultaneously without facing any storage issues. 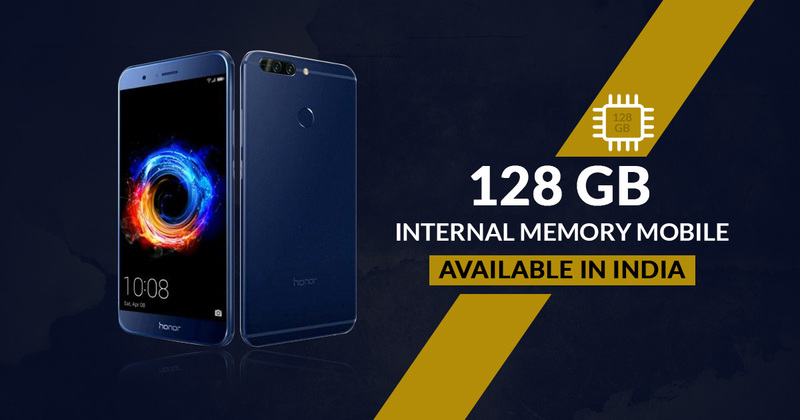 Here we are providing you a list of 128GB internal memory mobile phones that have been priced in between Rs 10,000 to Rs 30,000 and available for purchase in India. 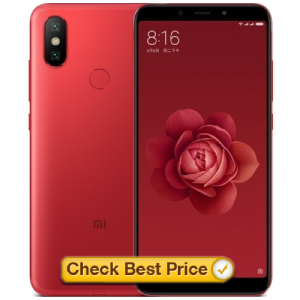 Xiaomi is one of the best Chinese smartphone company. Xiaomi launched Mi A2 smartphone in July 2018 in India with a 5.99-inch FHD+ large display which is protected by 2.5D Corning Gorilla Glass. Its 6GB RAM and 128GB of internal memory variant available in India at the priced Rs. 15,999. The Mi A2 is powered by octa-core (4×2.2GHz + 4×1.8GHz), Qualcomm® Snapdragon™ 660 AIE processor and runs on the Android 8.1 Oreo operating system. It has a 12MP (large f/1.75 aperture) primary camera and a 20MP (large f/1.75 aperture) secondary camera on the rear and a 20MP (large f/2.2 aperture) front camera for selfies & video calls. 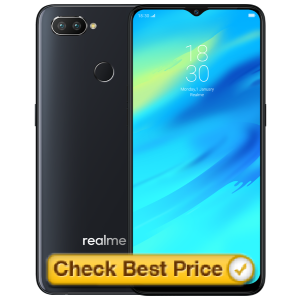 The Realme 2 Pro 128GB smartphone features a The 16cm (6.3”) FHD+ display with the screen resolution 2340 x 1080 pixels. The phone is available in India at the price Rs.12,990. The Dual Camera smartphone is powered by 1.8GHz octa-core, Qualcomm Snapdragon 660 AIE Processor and runs on the Android 8.1 Oreo operating system. The phone is equipped with a 16-megapixel (f/1.7) primary AI Camera with Studio-Quality Portraits and a 2-megapixel (f/2.4) secondary camera on the rear and a 16-megapixel front camera with AI Beauty Selfie that analyzes the age, gender and skin complexion. Huawei launched a sleek and classy mobile “Honor 8X” in India with a 6.5-inch vivacious display which ensures HD content in a most delightful way. It has a great internal space that impresses a user. The device comprises of 128GB inbuilt storage that can be extended up to 256GB via SDmicro card. You can easily store & download lots of data, apps and games. 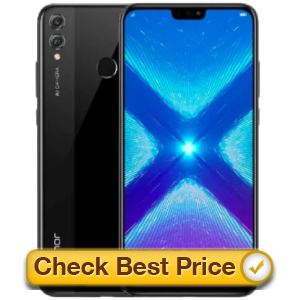 Honor 8X currently available for Rs. 16,999 in India. Not just display and storage, Honor 8X has also great camera features and it provides a smooth and glitch-free experience. The device is equipped with a 20MP(f/1.8) + 2MP AI Dual-Camera with AI Beauty Effect and a 16-megapixel front shooter for high-quality selfies and smart face unlock. The phone is powered by 2.2GHz octa-core, Kirin 710 powerful chipset processor and runs on the Android v8.1 (Oreo) Operating System. The Chinese smartphone manufacturer has launched Realme 1 in India. 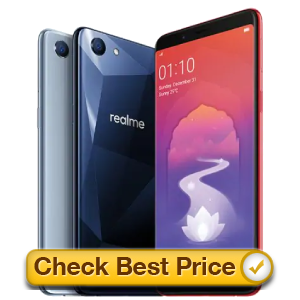 The Realme 1 is the best 128gb internal memory mobile under 15000. The device comes with a 6-inch IPS FHD+ capacitive touchscreen (1080×2160 pixels) display. The smartphone is available in two storage variants, 3GB RAM/ 32GB and 6GB RAM/128GB inbuilt space. The firm has launched the handset Diamond Black and Solar Red color options. The Oppo Realme 1 packs a 13-megapixel primary camera and 8-megapixel front- facing a camera. The connectivity options include are 4G LTE, 3G, GPS, Micro-USB, FM Radio, Bluetooth v4.2, Wi-Fi 802.11 a/b/g/n/ac 5GHz. 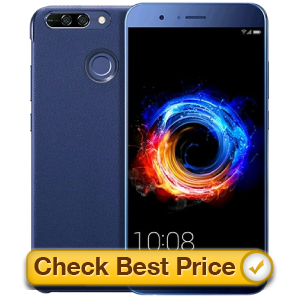 The Huawei Honor 8 Pro is one of the best smartphones with 128gb internal memory. The smartphone has a 5.7-inch touchscreen capacitive (1440×2560 pixels) touchscreen display. 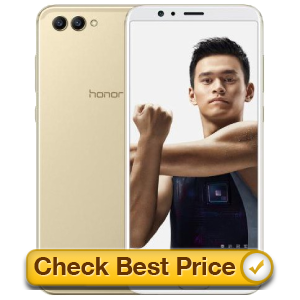 The device is powered by 1.8GHz octa-core processor with 6GB of RAM and 128GB internal space, expandable up to 128GB using microSD card. The Honor 8 Pro packs a dual primary camera of 12 + 12 megapixel with 8-megapixel selfie shutter. The handset is available in three color variants – Navy Blue, Platinum Gold, Midnight Black. 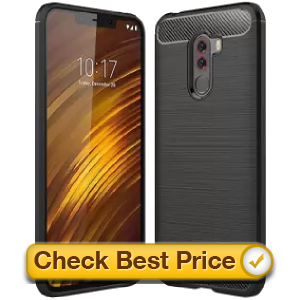 The dual-SIM smartphone packs a 4000mAh Non-removable Li-Po Battery along the connectivity options include Wi-Fi, GPS, Bluetooth, FM, 3G, and 4G. 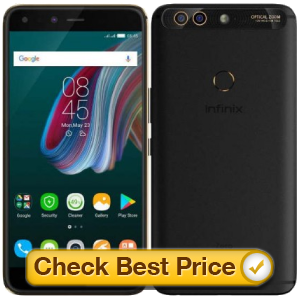 The Infinix Zero 5 Pro is the best phone with big internal memory. The phone has a 5.98-inch touchscreen display with a resolution of 1080 pixels by 1920 pixels. The handset is powered by a 2.6GHz Octa-core processor with 6GB RAM and 64GB inbuilt storage, expandable up to 128GB by using microSD card. The phone is available in Sandstone Black color variant in India. The Infinix Zero 5 Pro packs 12+13-megapixel primary camera coupled with 16-megapixel selfie camera. 4350mAh battery makes it a long life battery smartphone. The latest Huawei Honor V10 Android mobile provides a Dual rear camera and fingerprint sensor. The phone has a 5.9-inch Full-HD+ IPS touchscreen (1080×2160 pixels) display. The handset is powered by a 2.36 GHz Octa-core processor with 4/6GB RAM and 64/128GB inbuilt storage, expandable up to 256GB via microSD card. Top sensors on the smartphone include Compass/ Magnetometer, Proximity sensor, Accelerometer, Ambient light sensor and Gyroscope. The connectivity options included are 4G VoLTE, 3G, Bluetooth v4.2, USB Type-C, Wi-Fi 802.11 a/b/g/n/ac options. The Huawei Honor V10 packs a 20+16-megapixel primary camera along with a 13-megapixel selfie sensor. 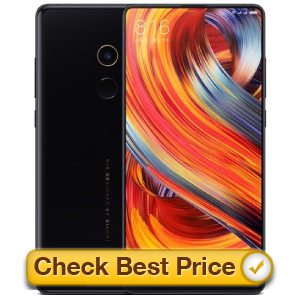 The latest Xiaomi Mi Mix 2 is a 128GB android phone which comes with a 5.99-inch Full-HD+ IPS touchscreen (1080×2160 pixels) display. The handset is powered by 2.5GHz Octa-core processor along with 6GB RAM and the 128GB inbuilt space, non- expendable memory. The Mi Mix 2 packs a 12-megapixel primary camera coupled with a 5-megapixel front camera for the selfie. The dual-SIM (GSM and GSM) smartphone runs on the Android Nougat 7.1.1 Operating System and embedded with 3400mAh Non-removable Li-ion Battery. The connectivity options included are 4G VoLTE, 3G, Bluetooth v5.0, USB Type-C, Wi-Fi 802.11 a/b/g/n/ac options. Xiaomi’s new POCO F1 launched in August 2018 in India with an incredible performance at an unbeatable price. It comes with a 6.18-inch FHD+ full-screen display with the screen resolution 2246 x 1080 pixel. It offers 128GB internal Storage model at the price Rs. 22,999. POCO F1 is powered by Qualcomm® Snapdragon™ 845 processor and operates on the Android 8.1 Oreo Operating System. The device packs a 12MP + 5MP AI dual rear camera with the features dual-pixel autofocus & a large 1.4μm pixel sensor and a 20MP high-res front camera coupled with the 1.8μm pixel. The phone is equipped with a 4000mAh battery with quick charge 3.0 that delivers enough power for a full day. Samsung introducing the world’s first Quad camera smartphone, Galaxy A9 which has the power of 4 rear cameras. The phone comes with a 6.3-inch FHD+ sAMOLED infinity display and powered by 2.2GHz octa-core, Snapdragon 660 processor with massive 128GB internal storage. 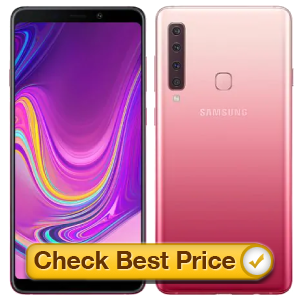 The Galaxy A9 offers 4 cameras, a 24MP (f/1.7) main camera + a 10MP (f/2.4) telephoto camera with 2x optical zoom + an 8MP ultra-wide camera + a 5MP depth camera on the rear and a 24-megapixel front shooter with innovative low light technology. Huwaie introducing a world’s first In-screen camera flagship-killer smartphone Honor View 20. The flagship phone offers 6.40-inch All-View Display and powered by Kirin 980 powerful processor that operates on the Android 9. Its 6GB RAM & 128GB internal memory variant is available at the price Rs. 37,999. 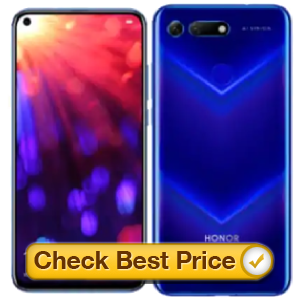 Honor View 20 packs a 48MP (f/1.8) with AIS super night shot camera on the rear and a 25MP high-definition selfie camera.